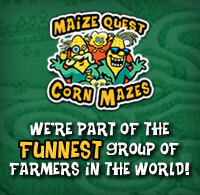 Sign up for coupons, event info, what's fresh in the market, & more! We are expecting well over 2,000 attendees at this annual event sponsored by Mitcham Farm. We are looking for arts and craft vendors who would like to display and sell their items. NOTE: We do NOT need any food vendors for this event. We are looking for vendors who are selling non-food items only. Thank you! Vendors must supply their own table, chairs, and electric cords. Vendors may arrive any time after 9AM on the day of the event to set up. Mitcham Farm reserves the right to refund registration fee received if vendor spots or categories are full or we determine that a particular product is not a good fit for a particular event. Fill out the form below and then click the "Buy Now" button to submit your reservation using PayPal's secure online payment option. 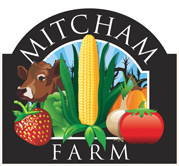 IMPORTANT: Mitcham Farm reserves the right to refund registration fee if vendor spots or categories are full or we determine that a particular product is not a good fit for a particular event. We will be in touch to confirm your spot. Thank you!